Tribeca Film Fest To Mark 35th Anniversary of "This Is Spinal Tap"
A scene from "This Is Spinal Tap"
The band’s getting back together again at the 18th Tribeca Film Festival. This Is Spinal Tap will return to the big screen for the iconic mockumentary’s 35th anniversary at the 2019 Festival. Generation X will also have a comeback for the 25th anniversary of Reality Bites. The storytellers behind the cult classics will be on hand for cast and creator reunions. The 2019 Tribeca Film Festival runs April 24-May 5. This Is Spinal Tap stars and creators Christopher Guest, Michael McKean, Harry Shearer, and Rob Reiner, who also directed, will turn it up to eleven again with a one-night-only anniversary celebration 35 years in the making. Released in 1984, the mockumentary follows the fictional heavy metal rock band Spinal Tap on tour. After the screening, the four will pay tribute to the band with a special musical performance and a conversation to follow. Tribeca will celebrate the 25th anniversary of Reality Bites, a film that captured the zeitgeist of the ‘90s. Starring Winona Ryder, Ethan Hawke, Janeane Garofalo, Steve Zahn, and Ben Stiller, who also directed, the film was released in 1994. A conversation will follow the screening to take a look back at the making of the film and the characters who have come to embody the spirit of Generation X. 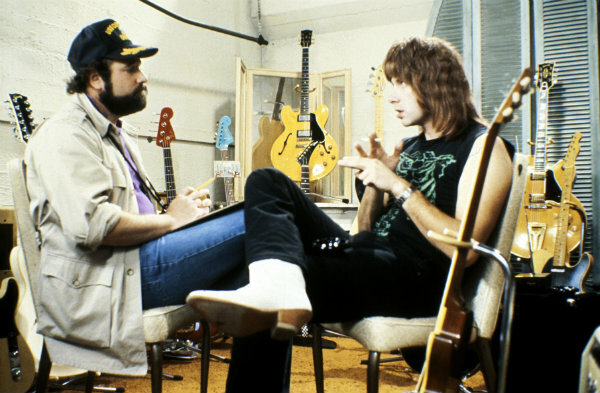 Rob Reiner and Ben Stiller brought these two cult classics to life both in front of the camera and from behind--This Is Spinal Tap and Reality Bites were their directorial debuts. “Spinal Tap proves there is definitely a fine line between stupid and clever,” said director, co-writer, and star Reiner. “Reality Bites was a formative experience in my life. To have a 25 year anniversary screening is very exciting. Looking forward to seeing the whole cast, and possibly changing the ending so Michael gets Lelaina,” said director and star Stiller. Tribeca has hosted reunions and anniversary events for some of the most iconic films including Monty Python and the Holy Grail, The Godfather and The Godfather Part II, Goodfellas, Scarface, Schindler’s List, Taxi Driver, and The King of Comedy.